MATRIKOTE 90 AC is a high alumina, fine grained refractory designed for thin coatings applied over hot or cold surfaces. 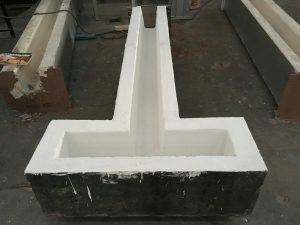 The product can be used as a sacrificial coating to protect the existing refractory lining from aluminum penetration. This product can also be applied as preferred to improve the surface appearance of the refractory lining. Email us at marketing@alliedmin.com for more information.